يحظى فندق Olympus Apartments بمكان متميز في محور جولد كوست شواطئ, الحياة الليلية, تسوق في منطقة سارفرس باراديس الفاتنة. إن موقعه الجيد الذي يبعد 0.45 km فقط عن مركز المدينة يساعد النزلاء على الاستمتاع بمعالم المدينة ونشاطاتها. يضفي محيط الفندق اللطيف وقربه من Racecentre, Infinity, Slingshot Gold Coast سحراً خاصاً على هذا الفندق. كما يقدم Olympus Apartments الكثير من الخدمات لإغناء رحلتك في جولد كوست. يقدم الفندق تسجيل وصول/خروج سريع, تخزين الأمتعة, واي فاي في المناطق العامة, صف السيارات, التوصيل من وإلى المطار لضمان الراحة القصوى لضيوفه. لقد جهزت هذه الإقامة الفندقية بعناية فائقة لتوفر مستوى عالي من الراحة. في بعض الغرف يجد النزيل اتصال لاسلكي بالإنترنت, اتصال لاسلكي بشبكة الإنترنت (مجاني), غرف لغير المدخنين, تدفئة, شرفة/ تراس. صممت خدمات الاستجمام في الفندق والتي تتضمن ساونا, مسار جولف - ضمن 3 كم, حمام سباحة خارجي, ملعب تنس, حديقة لمساعدتك على الاسترخاء والراحة. مهما كانت أسبابك لزيارة جولد كوست، فإن Olympus Apartments هو الخيار الأفضل لإقامة مثيرة وممتعة. Pros + Clean sheets and towels + The place is like the pictures shown online + Wide open seaview + 8 min walk to a shopping centre with a supermarket + 1 min walk to the beach Cons - One toilet roll for a family over 5 days - Very basic utensils - Noisy street right outside Overall, this is a basic beachfront apartment. It has three units per floor. Each unit faces the sea so you don’t need to worry about getting a slit or sea view. 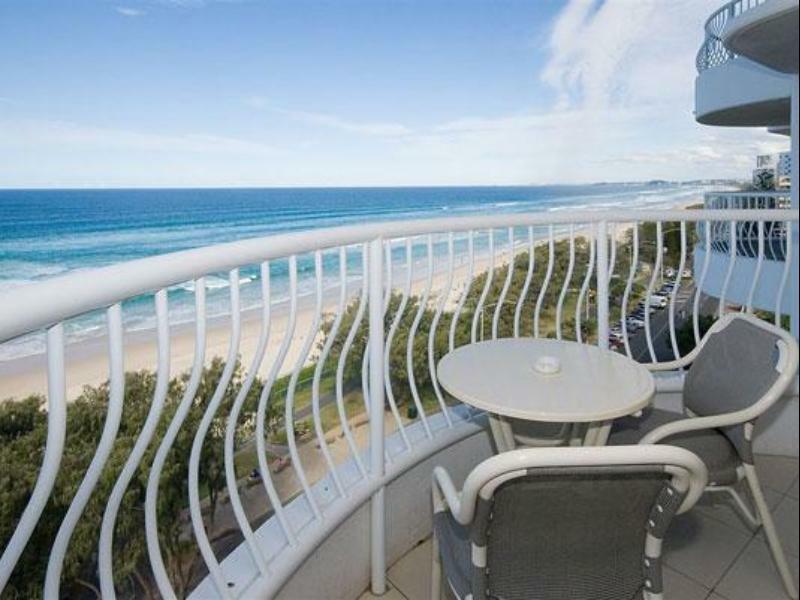 Olympus apartments were well situated on the beachfront at surfers paradise. The apartment block is an older block, but the apartment itself was newly renovated, stylish and very clean. We had requested, and had confirmation for a higher apartment, but on arrival that was not available to us. The lower one was noisier as it was directly over the road, but nevertheless we enjoyed our stay there. Saw whales from the apartment every day. Got a 2-room apartment which was perfect for our group. Couldn't ask for a better location as it is just by the sea at Surfer's Paradise. Paul and the team was awesome in helping out with our tour planning and even ticket bookings. Stayed for around 10 days and we truly enjoyed it. I was suprised to find 2 bedrooms when i checked in because i just booked 1 bedroom. But i told them i wanna a seasight balcony with big bedroom, they did it excently.Thank you very much! The locaiton is very good and price is nice. kitchen facilities are old and functional. We went to the little park for chinldren and adults once time. The bus and tram station will cost about 10-15 minutes to walk. 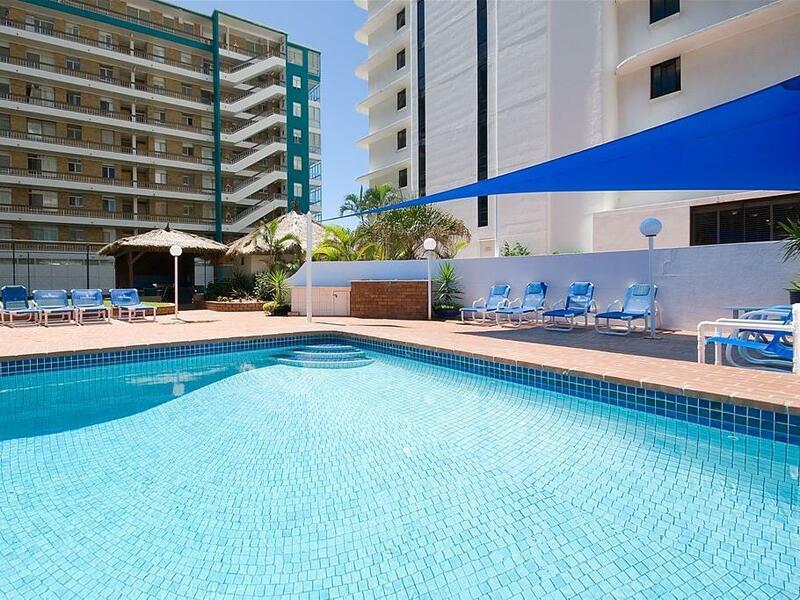 Olympus Apartments was a terrific choice for our stay in the Gold Coast. It was very centrally located across the road from the beach, nearby the shops and restaurants in Surfers, and a short walk from the tram line. The price was also very affordable (although we got a deal through Agoda). Staff were friendly and very helpful and the room was massive with a fantastic view out over the ocean. Thanks Miklos. We are pleased you enjoyed your time with us and look forward to your next Gold Coast trip. it was good apartment hotel. good location to go everywhere,awesome ocean view. i'd like to book here again. but I want that windows more clean. if it's clean we could see more beautiful even we don't open the windows. I was happy to stay there. thank you so much. This place is an apartment building. The room is quite spacious. It's very close to the beach and Surfer's Paradise. The staff is very friendly as well. The only downside is the facilities are pretty old. And there's no AC so it was pretty hot during our stay. Other than that I think it's a nice place to stay. Thank you for taking the time for the review. We are hopefull that the body corporate will have ac's installed in the coming months. We wished we could stay another night but I can understand why they were booked up. The only problem I had was that there was no air con and with the heat the fans just wasn't enough as they didn't seemed to go very fast. But I would stay there again for sure. Great location and staff but the facilities can be better maintained and also the almost non-existent Wi-Fi. Great location with great ocean view. we are pleased that you have enjoyed your stay with us. Thank you for the review and we hope that next time you visit the Gold Coast we have the pleasure of your company. We stayed here 6 years ago and return two weeks ago during this time I don't think that the owners of the individual apartments have done any maintenance on them, we tried 4 apartments before we were happy with an acceptable standard . 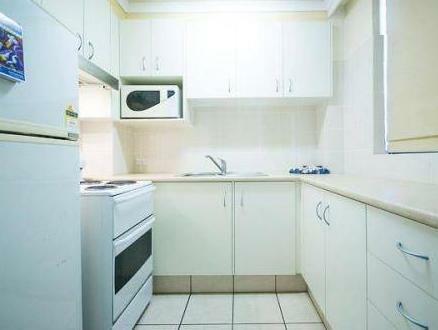 Each apartment needed cookers replacing , a good deep cleaning and furniture replacing. The staff Lisa and Gavin at the apartments are great, the location is great but the lack of maintenance by the owners lets the place down completely. Could be a wonderful place if just a little money was spent on the apartments. Thanks for the review John and we hope you had a safe trip home. Yes we did have some issues didnt we. I have forwraded your review to ALL unit owners to show them that they are required to keep their investments at a standard to ensure we do not have a situation arise like this again. Once again thank you for staying with us.